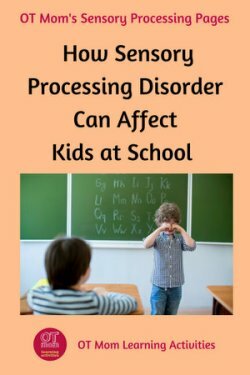 Sensory processing disorder in children is becoming more recognized among health professionals and educators. These children are often misunderstood and may be incorrectly labeled as ADD, learning disabled, slow, clumsy or naughty. 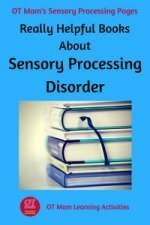 On this page, I describe some of the ways that children with sensory processing disorder may struggle at school. Identifying their areas of difficulty is a vital first step towards helping children achieve their potential. A sensory defensive child may be extremely fussy about the textures of school clothing and shoes, smells in the environment, the brightness of the lights and the noise (oh, the bells!!!). They may avoid playground activities for fear of being jostled or bumped, or because they dislike movement and heights. Standing or sitting in close proximity to other children can be stressful owing to the possibility of unexpected touch and jostling. This child may also be easily distracted during seat work owing to not being able to screen out noises and visual stimuli. 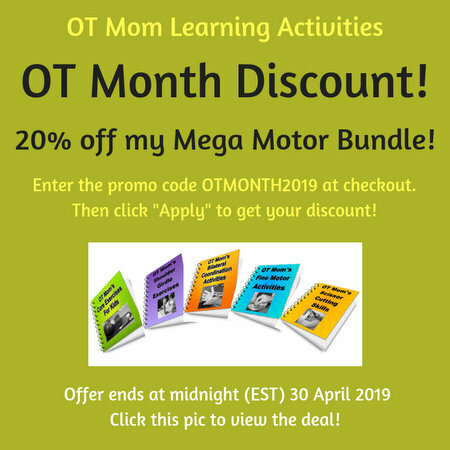 A sensory defensive child can easily become overstimulated or overwhelmed by the information coming from from any or all of the senses and may "act out" in crying, tantrums and meltdowns. A child who is sensory under-responsive may seem to "zone out" during periods of sitting still, may be the last to respond to the teacher's instructions, and may seem slow and lethargic during classroom activities. Sensory seeking children may be constantly fidgeting and moving during class time, and often get into trouble for impulsive behavior which disrupts their classmates. 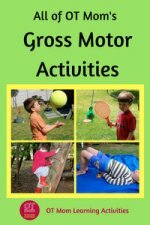 A sensory seeking child may struggle to do anything without excessive movement, and will be the child who crashes and bumps into furniture, sports equipment and other children - this is done on purpose, not maliciously, but just because it "feels good". This child may also chew on pencils and clothing and whatever else comes to hand! Children whose brains are not processing sensory information adequately, may experience delays in motor skills. The brain may be sending incomplete or inaccurate messages to the body and may result in various delays. 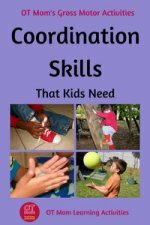 Balance and coordination skills may be poor, and this child may slump at the desk or on the floor owing to poor postural control. 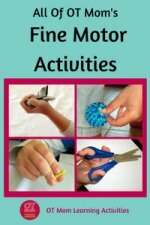 Gross motor skills and fine motor skills may be delayed compared to their peers. Children with a sensory based motor disorder may take a long time to learn to use eating utensils, to cut with scissors and to dress themselves. They may be clumsy and struggle to play games and interact appropriately with other children. In the absence of a diagnosed hearing loss, auditory perception delays may result in (among other things) a child struggling to remember what was said, confusing similar-sounding words, and struggling to hear the teacher’s voice over the background noise in the classroom. 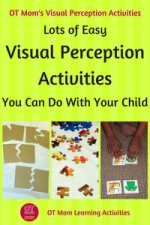 In the absence of a diagnosed loss of vision, visual perception delays may result in (among other things) a child struggling to copy words from the blackboard, losing his place when reading, confusing similar looking words and letters (eg b, p, d) and battling to do jigsaw puzzles. This child may also find it hard to do regular classroom worksheets such as mazes, wordsearches and spot-the-differences. Poor tactile perception can cause a child to be clumsy with the use of his hands, perhaps breaking things owing to squeezing too hard, or dropping things because of not holding them firmly enough. Tactile perception delays can make fine motor tasks such as fine craft work and handwriting more difficult, and the child may not be able to identify an object by feel instead of by sight. 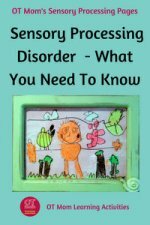 Help for Sensory Processing Disorder in Children! Remember, we all have bad days and meltdowns, and clumsy moments, but when there is a pattern of poor responses, and a child's daily functioning is affected, then it is time to seek help. Occupational Therapy is recommended as the first step in diagnosis and intervention of sensory processing disorder in children. Ask your therapist for activities you can do at home with your child - this is often called a Sensory Diet and can help your child to learn to process sensory information more adequately in order to get a more functional response. 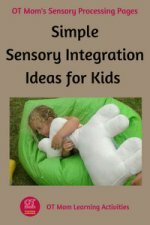 Your OT will design a sensory diet that is specific to your child's unique needs. I really recommend that parents and teachers read at least one of the fantastic books on sensory processing disorder in children that are available. Use of this website is not a substitute for occupational therapy assessment and treatment. However, you may find some of these activities helpful to support your child's development in all areas. Visit these pages on my site for inspiration, photographed activities and tips to help you help your child! 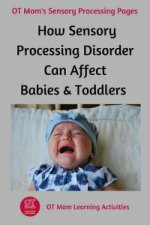 Weighted blankets, sensory toys, and lots more to help with sensory processing disorder in children!